The Gerhard Marcks House in Bremen is a museum for modern and contemporary sculpture, with national and international recognition. 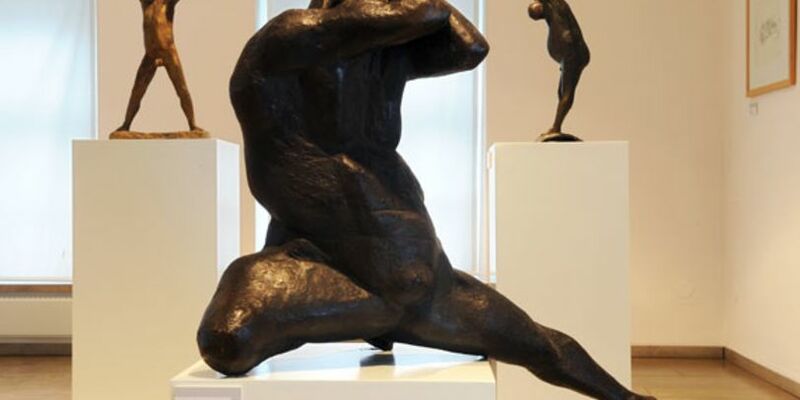 Special exhibitions feature not only classic artists such as Moore, Maillol or Giacometti, but also younger artists, demonstrating that sculpture is an active medium. For the last 40 years, the Gerhard Marcks House has been developing the concept of consciously combining modern and traditional art in its exhibitions, while seeking to explore the interaction between figure, form and space. The groundwork was laid in 1969 with one of most important German sculptors of the 20th century: Gerhard Marcks (1889–1981). The foundation retained Marcks’ oeuvre. No less than 400 sculptures, over 12,000 hand drawings and more than 1,200 prints form the current core collection of the holdings of the museum. Enriching this are more recent acquisitions, such as the works of the Berlin sculpture Waldemar Grzimek (1918-1984). Grzimek, considered one of the following generation of sculptors to Marcks, links the figurative sculpture of East and West Germany.